The tough DryFlex outer bag is durable, ultralight, and waterproof. 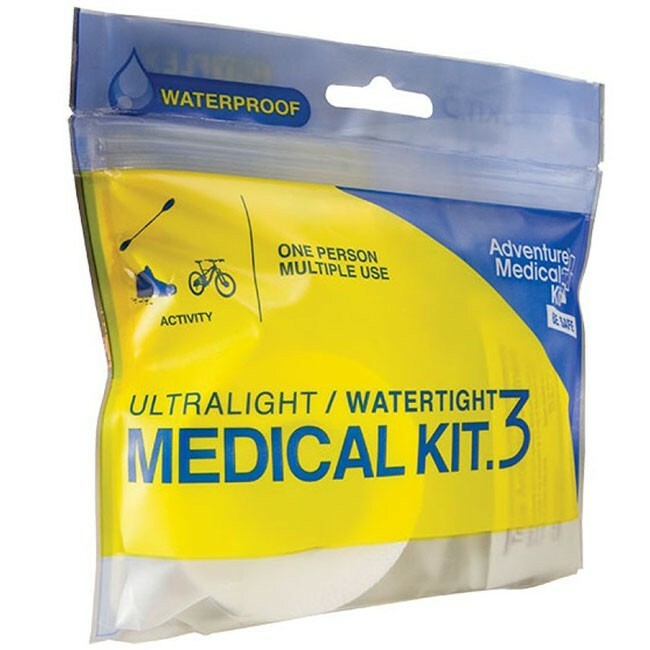 Contains 6-2x2 Sterile Dressings, 2-Butterfly Closures, 4-1x3 Adhesive Bandages, 2-Knuckle Adhesive Bandages, 1- 1/2"x 10 yards Tape, 1-Moleskin, 3-After Cuts & Scrapes® Towelettes, 2-Antibiotic Ointment, 1- Splinter Picker/Tick Remover Forceps, 4-Ibuprofen(200mg), 2-Antihistamine, 2-After Bite Sting Relief, and 2-Safety Pins. Dimensions: 5.25" x 5" x 1". Weight: 2.32 oz.